Inf VPN supports IPV6 network access. Use Inf VPN to stream the 2018 FIFA World Cup Russia. Enjoy World Cup football in full HD, with high speeds. You can unblock any apps or websites using Inf VPN. Bypass government censorship and geo-restrictions to access social networks such as Facebook, Twitter, Youtube, and Snapchat, etc. or any other blocked websites from anywhere! Using a VPN, your IP and location will be changed and your activities can no longer be tracked on the Internet. Inf VPN service is your privacy guard and better than web proxy servers. Inf VPN is fast! 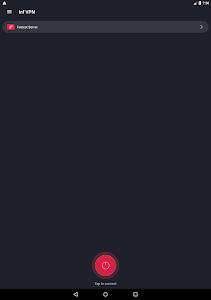 It detects your location automatically and connects you to the nearest and fastest server. 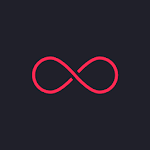 As a result, your connection will be much faster than any other VPN or proxy providers. 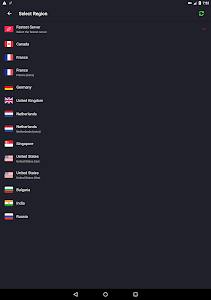 Inf-VPN proxy server has covered more than 10 different regions of the world, the number of more than 300 proxy servers. 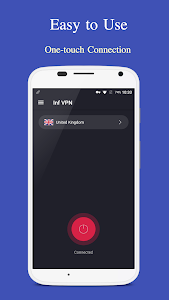 Inf VPN proxy uses advanced VPN technology to encrypt your network traffic, enabling you to connect to a website via HTTPS, providing a secured shield to your WiFi hotspot. Don't forget to give us 5-Star (★ ★ ★ ★ ★) rating, if you like us. Don't forget to share it with your friends, if you would like to help us. Fix some bugs and crashes. 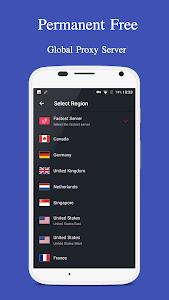 Similar to "Inf VPN - Global Proxy & Unlimited Free WIFI VPN"